Last week, Comcast officially announced that it will roll out its prepaid Xfinity Internet and TV services to its entire footprint by the end of 2017. 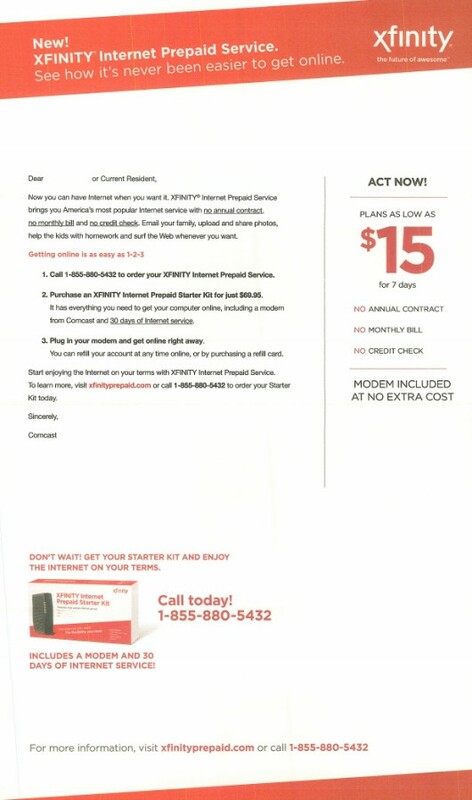 Comcast has been testing the prepaid model for years – in fact, Mintel Comperemedia started observing direct marketing for Xfinity prepaid Internet in a variety of Comcast markets in 2013. With this service, Comcast is tapping into a market ripe for month-to-month services. The Mintel Trend Why Buy? identifies how, across many industries, consumers have exhibited a lack of interest in permanent ownership and a general fear of commitment when it comes products and services. Rather than make a large purchase or enter into a long-term contract, consumers embrace renting, sharing, or some other form of part-time ownership. Prepaid services enable consumers to use a service when they want it, without forcing them into a longer-term commitment. We can point to consumers’ non-committal attitudes when we consider the success of streaming video services, which have been making a slowly growing dent in pay TV’s market share. Most streaming video services offer a low-cost, month-to-month payment model, enabling customers to come and go on their own terms. For example, a consumer might add Netflix for a month when the new season of House of Cards becomes available, and then drop it, if he chooses, until the next season of his favorite Netflix original becomes available. Freedom to come and go extends beyond the cycle of content availability, offering flexibility for those on a tight budget. Many consumers will have months when streaming video or pay TV fits into the budget and months when it doesn’t. Prepaid Internet and prepaid TV, like streaming video services, enable consumers to come and go as their finances fluctuate. As one example, prepaid Internet could be a boon for those consumers who want their children to be connected during the school year, but who could use the extra cash over the summer by suspending service temporarily. Comcast’s $80 one-time Starter Kit fee, however, could be a barrier to entry for budget-conscious and low-income consumers. Comcast’s prepaid model, including an upfront equipment cost, followed by month-to-month pre-payments operates similarly to prepaid wireless. When we look to the wireless industry, we’re observing increasing marketing efforts and more aggressive competitive messaging from prepaid brands, which are benefiting from the same consumer attitudes toward month-to-month services that have buoyed streaming video. For example, Cricket and MetroPCS are taking on low-cost postpaid service from T-Mobile and Sprint, respectively. This has been a shift in strategy that has helped both Cricket and MetroPCS bring on substantial subscriber gains over the past few quarters. Of course, flexibility in adding or removing service becomes successful when paired with low pricing. Prepaid wireless is less expensive than postpaid wireless service. And as much as consumers want flexibility, price is still the number one point of concern for them. Mintel’s Mobile Network Providers US 2015 report found that the number one reason that consumers want to switch wireless carriers is to “get a cheaper plan.” And cost is just as important when consumers think about pay TV. Mintel’s Pay TV and Home Communication Services US 2016 report found 45% of non-subscribers say they don’t have pay TV because it is too expensive. It is this low-cost piece where prepaid Xfinity TV could run into a snag – there are streaming services that offer similar content at a lower monthly price point, without the $80 upfront fee. Of course, there’s another key piece about prepaid telecommunications services that appeals to consumers – no surprise charges or fees. Prepaid wireless subscribers never have to worry about getting charged data overages. Similarly, prepaid TV and Internet customers won’t have to worry about surprise fees, fluctuating bills, or prices increasing substantially after their introductory rate expires. According to Mintel research, many consumers complain about their unpredictable bills. 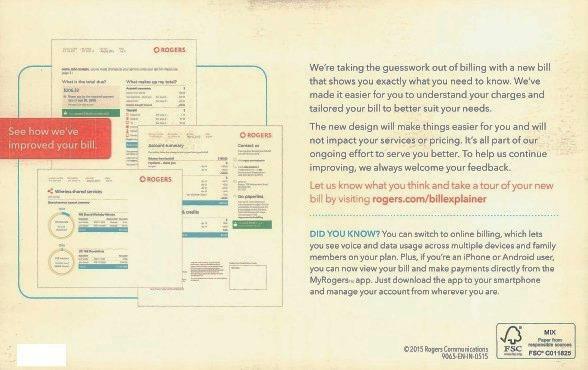 In fact, providers have gone to great lengths to clarify their bills to help reduce confusion and frustration among consumers (although, let’s be honest, the bills are usually still confusing). Prepaid just eliminates all of this frustration from the start. Since the audience for prepaid wireless and prepaid Internet or TV will share many of the same characteristics, it makes a whole lot of sense that Comcast has teamed up with prepaid service Boost Mobile for its retail distribution of Xfinity prepaid services. It’s a smart way for Comcast to get the prepaid Xfinity products in front of the right audience, and help educate prospective customers by drawing parallels between prepaid wireless and prepaid wireline services. Prepaid Xfinity TV will find competition from virtual MVPDs that offer similar content, month-to-month service, and lower monthly pricing, such as Sling TV and PlayStation Vue. If Comcast’s pricing doesn’t scare off potential customers, however, prepaid Xfinity Internet and TV services could help the provider stem subscriber losses to cord cutting, since it offers the flexibility to be a “part-time” subscriber. Prepaid broadband, in particular, could be helpful in many households that don’t need speeds above 10Mbps.